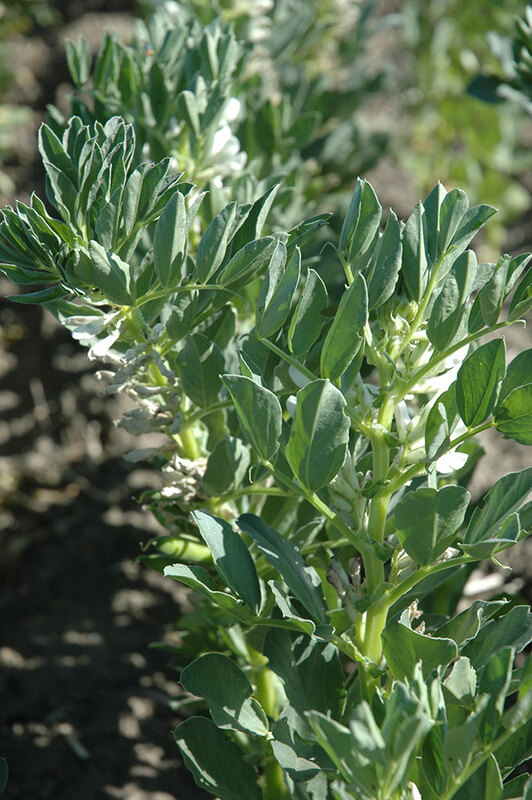 With fababeans taken off the registration label for a specific inoculant, Diane Knight from the University of Saskatchewan looked for other options. To date, Knight has conducted several studies, some of which may have important implications for the future. A recently completed Saskatchewan study assessed rhizobial strains for fababean inoculants. Photo courtesy of Top Crop Manager. Diane Knight’s research on rhizobial inoculant strains for fababean started back in 2013. “Fababean and pea had both been listed on the label of an inoculant from Novozymes. But then the company took fababean off the label, and I got phone calls from farmers asking about it,” explains Knight, a professor in the department of soil science at the University of Saskatchewan. Since she started this research, commercial rhizobial inoculants specifically for fababean have come on the market, but Knight’s findings could have applications in the future. Like any other legume, fababean needs to have a symbiotic relationship with rhizobial bacteria for root nodules to form and nitrogen fixation to occur. These bacteria belong to various genera such as Rhizobium, Bradyrhizobium, and Sinorhizobium. A specific legume species only forms a relationship with particular species or subspecies (biovars) of rhizobia. Rhizobium leguminosarum biovar viciae is used for commercial inoculants for pea, lentil and fababean, but a strain of this biovar that works well for one of the three crops may or may not be equally effective for each of the other two. Rhizobia found in a field without a current inoculated crop might have come from previous inoculated crops or they might be native species that evolved in association with native legumes. Knight’s first step in this research was to screen diverse rhizobia strains to see which ones might be worth further investigation as possible inoculants for fababean. Her study, which ran from 2013 to 2016, had funding from Saskatchewan’s Agriculture Development Fund and the Saskatchewan Pulse Growers (SPG). For each of the 42 strains, Knight and her research team conducted extensive screening in the greenhouse, assessing things like nodule development and nitrogen content in the plants. They tested the strains on two fababean varieties: FB9-4 (large-seeded, normal tannin); and CDC Snowdrop (small-seeded, zero tannin). Interestingly, 41 out of the 42 strains improved nodulation, biomass production, and nitrogen content in the fababean varieties, compared to the non-inoculated control. So almost every single strain had some potential. They used different field sites each year, and all four sites were in the Melfort area in the Black soil zone. At each site, they ran one experiment with CDC Snowdrop and one with FB9-4. They measured things like nitrogen fixation, yield and harvest index. Although there is no longer an urgent need for rhizobial strains for fababean inoculants, the findings from Knight’s research might have future applications. The top-performing strains from Knight’s research could be useful if there is room in the marketplace for more options for fababean inoculants. A recently completed project compared the effects of different rhizobial inoculant treatments on fababean yield and growth at seven Saskatchewan locations. Garry Hnatowich with the Irrigation Crop Diversification Corporation led this three-year, multi-agency project, which was funded by SPG. This project compared Nodulator (peat-based, seed-applied) and TagTeam (granular, in-furrow), which are the two currently available inoculants specifically for fababean. The treatments included: the peat inoculant by itself; and the granular formulation at 0.5, 1, and 2 times the recommended rate, with and without peat inoculant. The treatments were applied to two fababean varieties each year: CDC Snowdrop; and either FB9-4 or CDC SSNS-1 (small-seeded, tannin). The trials took place at Swift Current (Brown soil zone), Outlook (Brown-Dark Brown transitional), Scott (Dark Brown), and Melfort, Yorkton, Indian Head and Redvers (Black). Only two of the 15 site-years had significant seed yield responses, although a combined site analyses showed an overall yield increase of about 3.5 bushels per acre. Inoculation had no statistically significant effect on things like seed protein or total seed nitrogen uptake. Hnatowich’s report states, “The overall minimal response [to the inoculants] cannot be attributed to soil providing adequate nitrogen for fababean yield, as the majority of sites were low in soil nitrogen according to spring soil testing … Rather it is more likely that indigenous populations of Rhizobium leguminosarum were present at most trial locations and formed effective nodulation and subsequent biological nitrogen fixation to come close to optimizing fababean growth and seed yield production. All sites involved in the trial have an extended history of pulse crops within their rotations.” Most of the pulses in those rotations were field peas and/or lentils. The species of Knight’s strains aren’t known at present, but perhaps the species information might be of interest in the future. Studies in various countries have determined that fababean can form nodules with other rhizobial species such as Rhizobium fabae, Rhizobium laguerrereae, Rhizobium etli, Agrobacterium tumefaciens, Rhizobium anhuiense, and Agrobacterium radiobacter. If her strains are Rhizobium leguminosarum biovar viciae, then they might also work with pea and/or lentil. If they are some other species, then researchers might be interested if, for example, changes in fababean varieties, Prairie climate conditions and/or other factors mean that a different species or biovar is needed for better performance in the new circumstances. One reason why researchers might become interested in developing fababean inoculants with a different rhizobial species relates to the pea leaf weevil. The larvae of this pest feed on the rhizobia associated with root nodules of pea and fababean plants, decreasing nitrogen fixation and reducing crop performance. Asha Wijerathna, a University of Alberta graduate student, is working on the weevil with Hector Carcamo of Agriculture and Agri-Food Canada. Through a greenhouse study, Wijerathna determined that larval development was only associated with pea and fababean inoculated with Rhizobium leguminosarum and not with other legumes inoculated with their corresponding rhizobial species. Perhaps using a different rhizobial species in fababean inoculants might help reduce or prevent feeding by pea leaf weevil larvae. SPONSORED CONTENT: Monsanto BioAg has the peat and liquid inoculants you need!